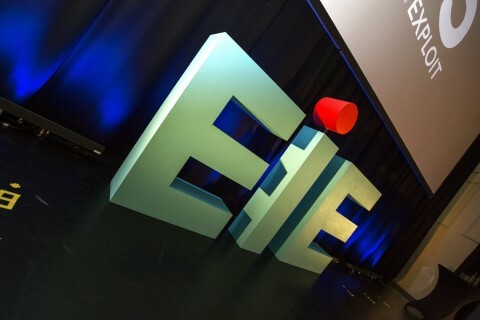 Scotland’s biggest investor event is EIE, and it’s just around the corner. It’s very much on my mind just now, as this year I will be giving one of the big “6 minute pitches” for Cyan Forensics – a company I am spinning out of Edinburgh Napier University. I thought it might be helpful to record what my preparations for EIE16, as it is a substantial commitment, and it’s not always clear at the start of the process just how much work is needed. Maybe this will be helpful to someone thinking about applying in the future! Applications open in November or December, and the form is quite simple. However, it was really important to us to communicate the message clearly and effectively so we spent some time on this – perhaps half day. Life’s a Pitch is a full day training session with Bill Joos, where we were taught the basics of pitching and challenged to explain our proposition in as few as seven words. 1-minute Pitch Preparation is another full day session, focussed on preparing the content and pacing for a one-minute pitch. I probably spent about half a day preparing a draft in advance of the session so I could get the most out of the feedback on the day. 1-minute Video Pitch takes only a minute, but we had an hour to do several different run-throughs. I spent about a day honing the pitch and practising endlessly so I could do as good a job as possible on the day. Stage Skills is a half-day workshop to help you think about performance, about how to stand, move, project, and generally appear natural and confident in an artificial situation. 6-minute Pitch Audition isn’t mandatory, but there’s a lot more exposure from doing this than a one-minute pitch so it’s worth putting in the effort. I spent about a day preparing the narrative and developing it into a script, another day preparing supporting visual aids, and another day rehearsing. The audition slot is only 45 minutes – it’s the preparation that takes the time. 6-minute Pitch Preparation is a huge commitment as there is a very high expectation of performance. A half-day of formal rehearsal is once again the tip of the iceberg – I will have spent about three days on this by the time the event comes around. Materials Preparation includes the pod artwork, details for the event brochure, and details for the investor brochure. This also includes working with a designer on slides for the 6 minute pitch too. I have put a couple of days into this, spread over a period of time. Fortunately our Business Plan and Exec Summary were in good shape anyway, so we didn’t do a lot of additional work for EIE, but these need to be ready. The Final Countdown is residential event with a dinner followed by a full day of sessions to help prepare for the event. Rehearsal Day is the day before – we’re not there yet but that will take a few hours. EIE16 will be a long day for all of us – from an early breakfast start to the end of the evening dinner and reception. I’m really looking forward to it, but it will be hard work. That’s about 16 days I’ve committed to EIE preparation. That’s more than three working weeks, or looking at it another way, about a day a week since Christmas. That doesn’t include including having the branding, messaging and business plan in reasonably good shape at the start of the process. Hopefully there will also be a bit of follow-up to do with investors after the event. This is a big commitment – but also an excellent investment. EIE has a great team behind it, and having professional support in preparing a pitch and visual aids and presenting the company is hugely valuable to us. Every investor pitch we do and every conversation we have with customers will benefit from this work.